To many people, starting a warm fire involves either flipping a switch or striking a match, but in many situations, that isn’t always possible. For instance, you might be out in the forest and have forgotten to bring some matches along with you to start a campfire. So, this leads many people to wonder – can you learn how to start a fire with nothing? Actually, you can easily start a fire with nothing but natural elements as long as you know a few easy methods. Knowing how to start a fire from scratch can keep you warm on the coldest of nights and in fact, it might even save your life one day. We’ve compiled an article that will explain how you can do so and give you step-by-step instructions for the different methods listed so you can quickly create a fire with the necessary materials. 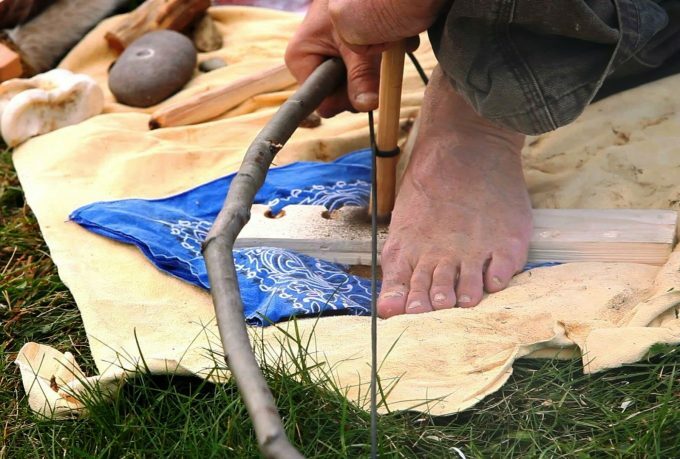 You’ll find methods that use everything from shoelaces to nothing but sticks. Keep reading to learn even more about these methods and the materials you need. The wilderness is filled with things that can help you create a fire on your own. Believe it or not, that small rock you saw on the ground when venturing out in the forest can actually help create a fire to keep you warm. There are a few different ways that starting a fire without matches can happen, so the supplies often varies. Below are some materials that often are used for match-free fires. Most methods need dry wood in order to work and it’s important to always make sure the wood you use is completely dry. A wet or damp piece of wood contains water and we all know that fire and water don’t mix. So, make sure that the wood pieces you decide to use are absolutely dry to the touch. Besides dry wood, you’ll also need to find some dry leaves and grass to use. These are needed in order for you to create the vital tinder nest. These materials will react to the wood and other elements rubbing against them which will help you start your fire. Rocks surprisingly can help create a fire thanks to their strong friction. Rubbing rocks against other hard surfaces can create this necessary friction which in return can start sparks will start a fire on your tinder nest. In addition to the tinder nest, you’ll need to make sure you have some kindling wood. Kindling materials are similar to a tinder nest but are made up of larger pieces of wood and grass. The kindling is what will help to ignite the tinder nest a little more so a fire can start. If you want to have a large fire, you’ll need to make sure to use firewood. Firewood is pretty much just large logs or twigs that will help the fire to be large enough to warm you. Once your tinder nest and kindling materials are smoking, you can put them on the firewood which will then burst into a warm fire. 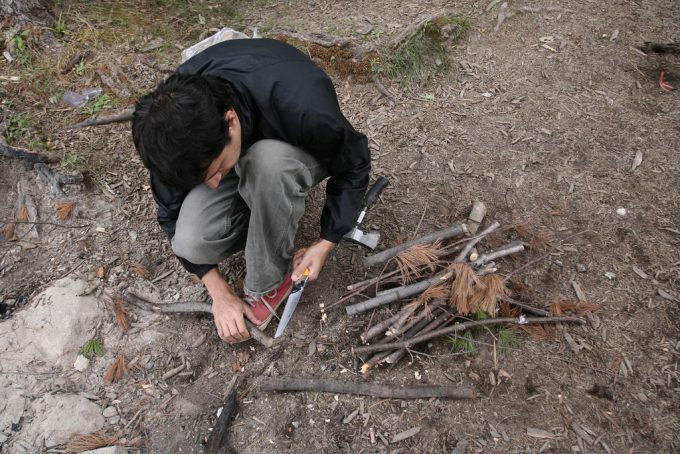 There are a few different methods you can use to start a fire with absolutely nothing. Some of them are a little harder than others so it’s important to choose a method that you know you can work with easily. 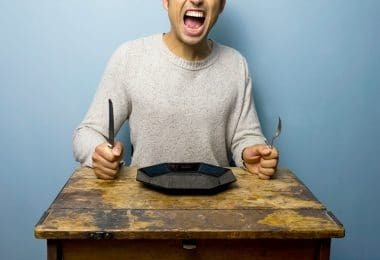 This is probably one of the most well-known methods, but also one of the most difficult and time-consuming. To do this method successfully, you’ll need to make sure to find some dry wood and leaves. Once you collect them, you then want to make a tinder nest with them by just clumping the materials together. While you’re out collecting leaves, you’ll also want to find a sturdy stick. This stick should be dry and strong enough to withstand being scratched against by another piece of wood. After getting your tinder nest, you’ll want to find a base. This base can be a large piece of bark or some other type of large solid wood piece. After finding your base, you’ll want to cut a V shape into it. This V shape will help to keep the base secure when you rub the stick on it in order to help you start your fire easily and safely. After completing these steps, you can then begin to create your fire! Just take the stick you found and place it in the crevice of the V so it’s secure in it. Then, with both of your hands, start to spin the stick quickly between them. Eventually, you’ll start to see some smoke and before you know it, you’ll have made a fire! Another unique way to create a fire by yourself is with the bow method. For this method, you’ll need a base (such as a large piece of bark), a tinder nest, a cord, a medium-size stick, and a long stick. 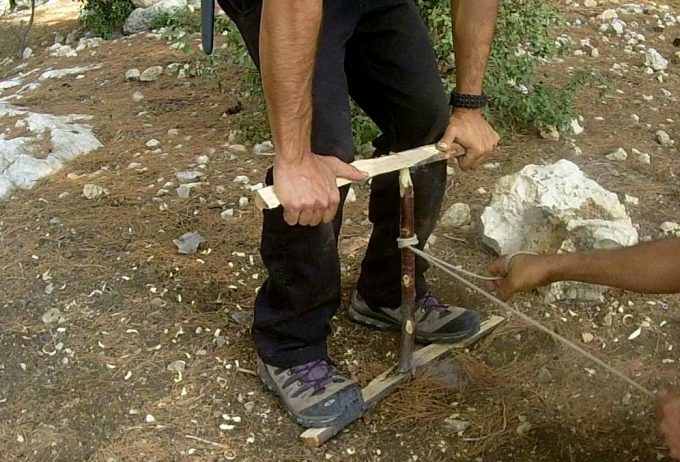 It’s important to use a stick that’s also flexible because you’ll need to bend it for this fire making method. To begin, you want to put your base on the ground. You then want to tie the cord to both ends of the medium-size stick so that it makes a bow shape which is what will make the “drill”. After making the drill, put a tinder next on the base and then the long stick on it. You can then take the drill you made and start to move it vertically up and down against the long stick. This will end up creating friction and the sparks created will fall on your tinder nest below to start a fire. This method is a very simple one to use, but you need to make sure to have the necessary equipment. For the lens method, you just need a lens, water, sunlight, and a tinder nest. The lens can be from anything, such as glasses or binoculars. After finding a lens to use, you want to put a few drops of water on it and then hold the lens up to the sun. You want to try to reflect a sunbeam on to your tinder nest. The intensity of the light will end up causing the tinder nest to heat up and smoke which will soon quickly create a fire in it. Another interesting way you can create a fire is with a stone, steel piece, and a tinder nest. For this method, you want to find a flint rock, or really just any stone that has a high silica amount. If the rock doesn’t have a high silica amount it won’t react well enough to create a fire so it’s very important to find and use a rock that does. 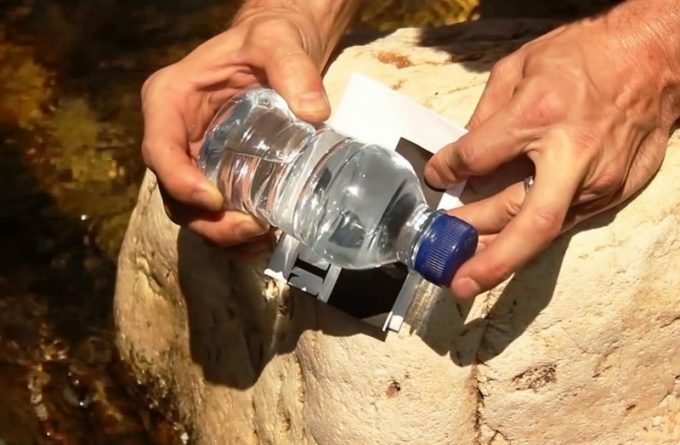 After finding the correct rock, you want to make sure it has a sharp edge on it you can rub against the piece of steel. If not, you can chip and carve at it so it does. 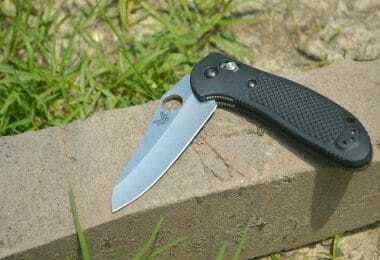 Once you have a sharp tip, you can take that end and start to rub it against a piece of steel. 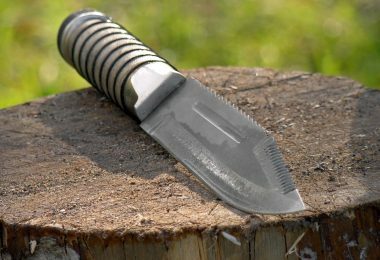 This can be a knife, for instance, which is often something many people carry when adventuring in the wilderness. You just need to keep moving the rock up and down against the piece of steel until sparks start to fly and fall on your tinder nest below. 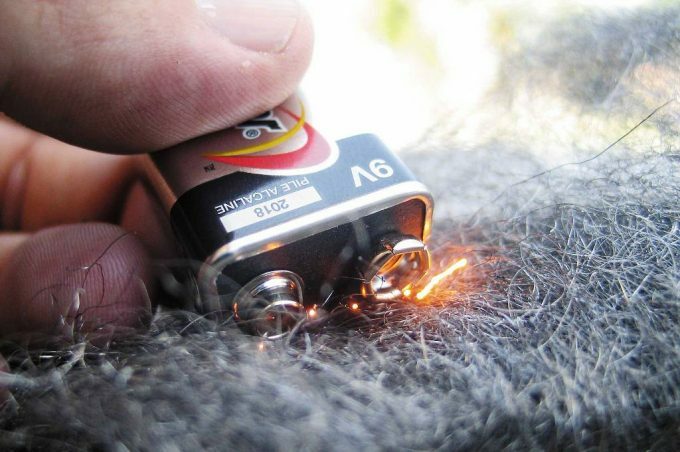 For this method, you’ll need to make sure you have some steel wool and a battery on hand. Steel wool is known as a wire sponge and is a flexible steel piece that can easily move around. It’s ideal to use in many instances because it’s a tough material but one that will get the job done. As for the battery, this can be from practically anything. 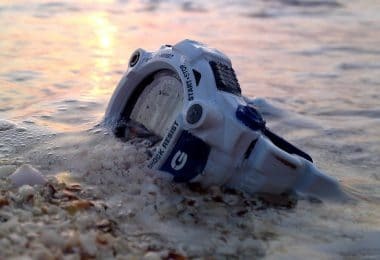 You can take the battery out of your flashlight to use or you could even remove your phone’s battery and use that. It doesn’t matter what appliance or device the battery is from, you just need to make sure you have a battery. After getting your steel wool and battery, you want to take the steel wool and rub it on the battery’s terminals. This will end up reacting with the battery so it creates friction. You’ll soon start to see sparks. Once you start to see sparks, you’ll want to move the steel wool and battery down near your tinder nest. The sparks will eventually fall onto the nest and start smoking so you can create your fire. This method is similar to the bow method mentioned above but instead, needs two people in order to work properly. 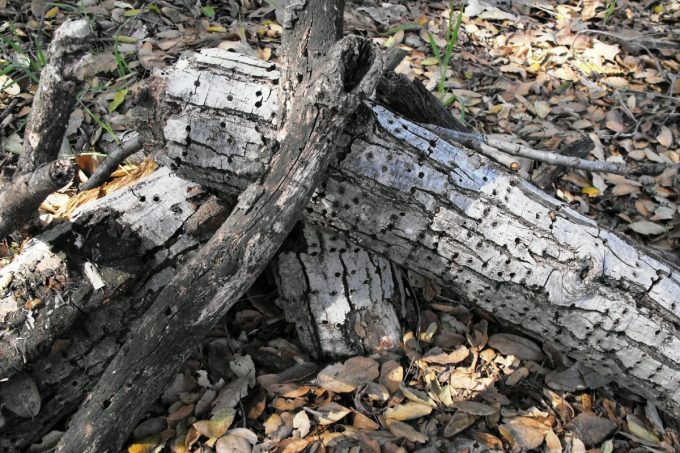 You’ll first need to collect your supplies such as a large piece of bark, a tall stick, and a wire-like item. If you don’t happen to have a wire on hand, you can use your shoelace which will work just as well. To begin, you’ll want to carve a V shape into the base and then place the tall stick in its crevice. You’ll then want to place a tinder nest near this stick so the sparks created can fall on it. After doing the step above, the other person can wrap the wire (or shoelace) around the stick so that it’s tightly on it but still able to move freely. One person needs to hold the tall stick steady on the base while the other takes the two ends of the wire and starts to rapidly rub it back and forth against the stick. Eventually, it will start to smolder and your tinder nest will catch the sparks which you can then use to start your fire. This method is easy but requires a little bit of extra effort in order to work. To do the fire plow method, you’ll want to find a large piece of bark or wood you can use as a base. You’ll then want to carve a straight line down the length of the base which is wide and deep enough to fit a stick in it. 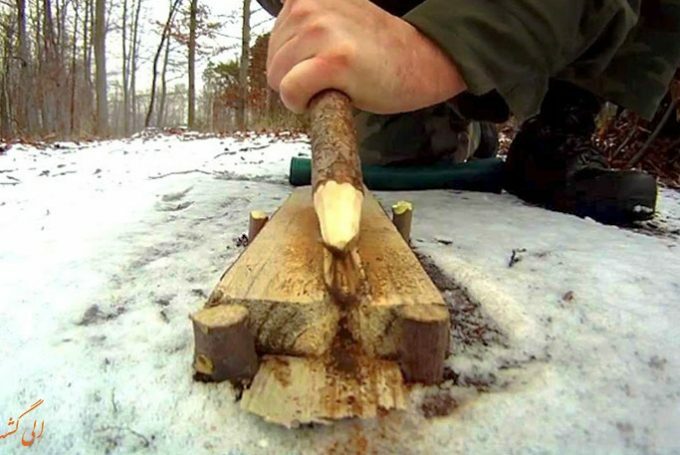 After creating the crevice in the base, take the stick and start to move it quickly down the line you carved. You’ll want to do this motion quickly as the quicker you do it the more friction that will be created so your fire can start. You’ll find that as you move the stick down the base, some of the wood dust will collect at the end of it. This can serve as your tinder nest because it will start to smolder a little due to the friction being created in the wood. Once the dust starts to smoke, you can start to use it to begin your fire. 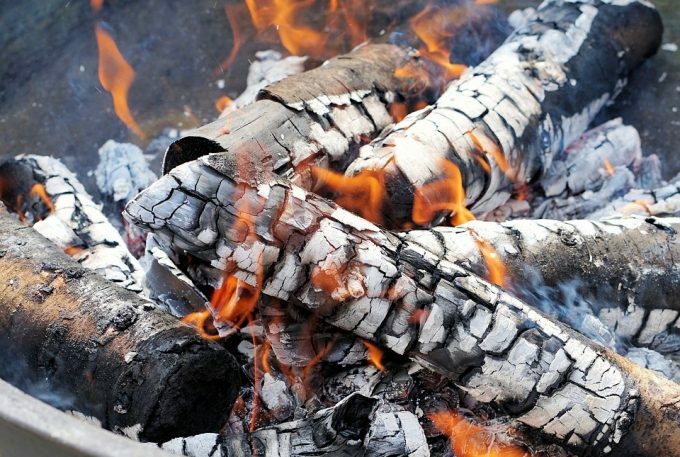 This method is one way you can create a fire without having to make a tinder nest yourself. You just need a water bottle, a piece of paper, and sunlight. After getting your supplies, fold the piece of paper a few times. You then want to put a black splotch on it. This splotch should be somewhat large on the paper. After removing any label from the water bottle, hold the paper near the plastic of the bottle. The water bottle will reflect heat to the black mark on the paper so the paper will then start to heat up and smoke. Once the paper starts to smoke, you can use it to help generate your fire. 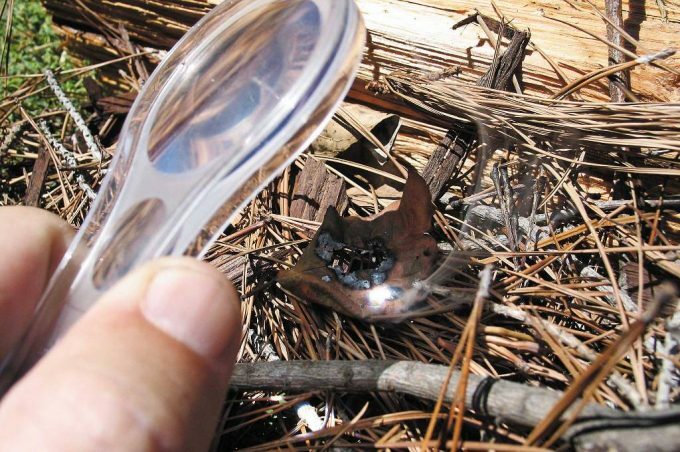 This method is a quick and simple way to start a fire. You just need to get an AA battery and a clean foil gum wrapper. To start out, you want to put the gum wrapper on a flat surface. Then, place the negative side of the battery onto the foil of the wrapper. 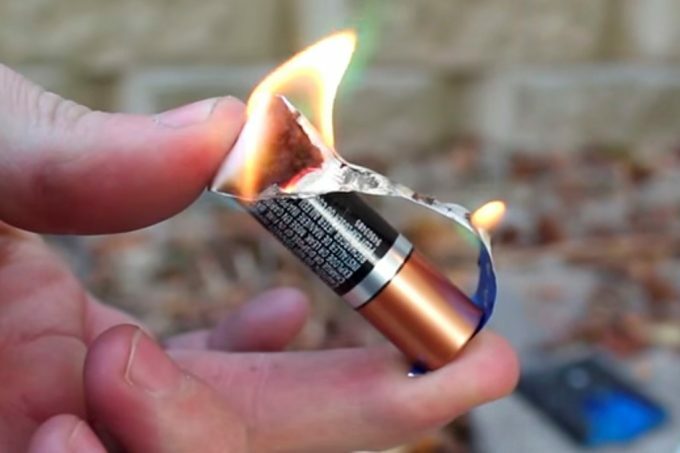 You can then place a piece of paper up at the top of the positive side of the battery which will soon start to generate heat so your paper ends up smoldering. While starting a fire with nothing can be very easy to do, it can be a very intricate process. It’s very important to pay close attention to the materials you use to ensure your fire is safe and well-made. Here are a few tips to keep in mind. 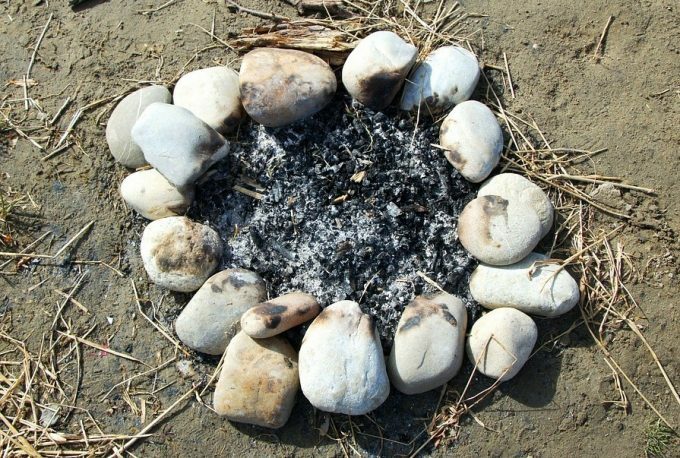 As mentioned above, you always want to try to use flint rocks if you use the stone method to start your fire. However, identifying flint rocks can be a little tricky. Below are some common signs you can use to make sure you use a flint rock. Flint rocks tend to be near riverbeds or in areas that tend to have a lot of rocks. Sometimes you might even need to venture out into the water of the river where you’ll usually find plenty of flint rocks on the bottom (Locating Flint). A flint rock will have a gray or black coloring. The exterior of this stone will also be somewhat smooth and glossy. These rocks will have very sharp edges. 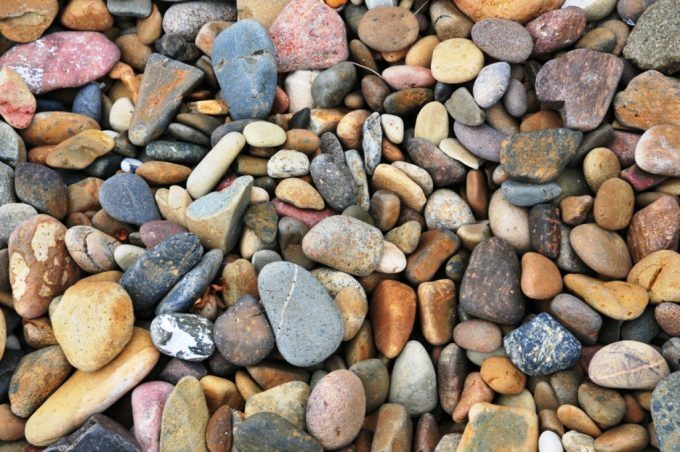 If you pick up a stone that you think might be flint but is dull, then you need to put it back because it isn’t flint. You can test the sharpness by scratching the rock against a piece of glass. If the rock leaves behind a scratch on it, then the rock is most likely a flint one. Flint rocks are heavy. They’ll feel very dense when you pick it up. 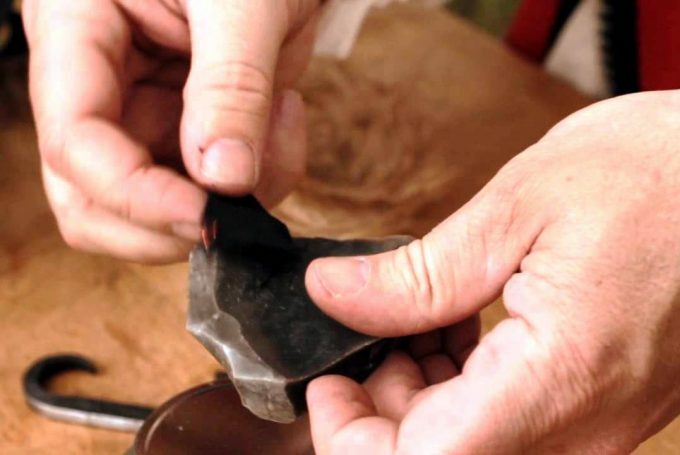 A flint rock will make a unique clinking sound when dropped. When making a tinder nest it can be easy to pick up random materials in order to make it. However, doing so doesn’t guarantee your tinder nest will work. There are a few things you want to make sure the materials you collect have in order to ensure they can help you start a fire. The materials need to be completely dry. Make sure though that they aren’t rotting. 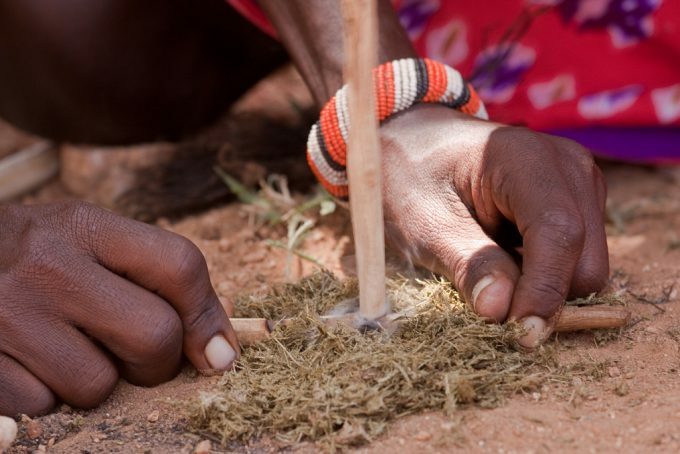 You want freshly dried leaves, grasses, and pine needles which will work the best at quickly creating a fire for you. Any materials that you use should be lightweight. You don’t want to use sticks or thick and heavy pieces for your tinder nest. This will only end up making it more difficult for the sparks to create a fire on your tinder nest. Any fire you make needs to be closely watched. If not, it could up spreading and causing massive destruction. To make sure your fire is completely out, you want to make sure to pour enough water over it so any embers are extinguished. You can spread the embers and wood around in your fire area to help you look to make sure everything has been put out. To add even more protection, you can pile some dirt on top of the fire to help put it out. You want to keep putting water on the fire and sorting it around until you’re sure that everything isn’t burning anymore. Starting a Fire with Nothing is Easy! Starting a fire on your own can be a very easy thing to do and you can do so in many different ways. 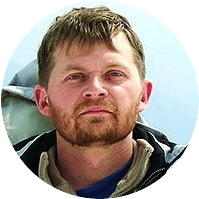 This article highlighted some of the top methods you can use so you can create a fire on your own when in the wilderness. You can use everything from wood to shoelaces to start a warm fire without ever having picked up a match. 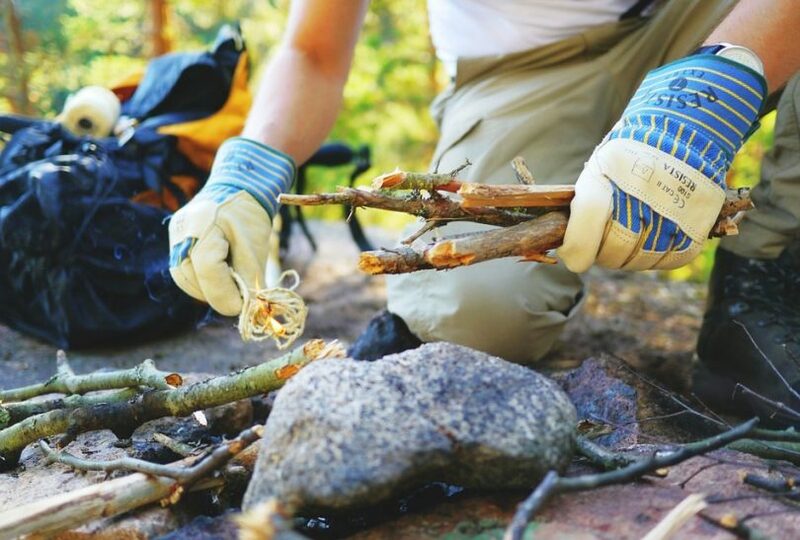 No matter what your skill level is, there are plenty of ways you can easily create a fire when out in the woods.